Calgary businessman Art Jenkyns passed away in 2005. For staff and volunteers, donors, and the millions of recipients of the gift of sight, the loss of Operation Eyesight’s founder was an occasion of great sadness but also of reflection on a remarkable man. In 1963, Art helped form what was first called “The Dr. Ben Gullison Club,” after the Canadian doctor whose work in India inspired the organization to help the blind and visually impaired in India. At one point, Art even ran the organization from his basement. He devoted countless hours to the organization later re-named Operation Eyesight, moving on to serve it full time as president in 1981. Over the years, Art became a tireless champion for blindness prevention and treatment, speaking at countless events across Canada to raise financial support. He maintained a deep commitment to quality eye care for the poor and to pursuing sustainable solutions in partnership with indigenous medical professionals. During his lifetime, Art received many awards, including the Government of Alberta’s Humanitarian Award, the Queen Elizabeth II Silver Jubilee Medal, the Order of Canada and the Sir Edmund Hilary Foundation Award. 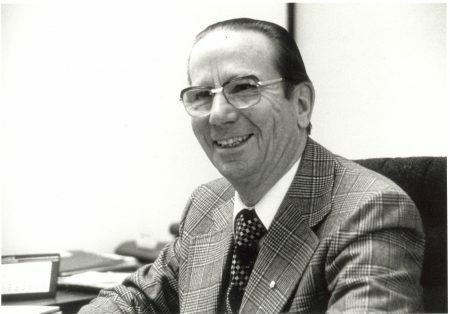 In addition to leading the organization for many years, he also served as honorary president and remained an active member of the board of directors until his death at the age of 83. Art made it his lifelong quest to do everything possible to eliminate avoidable blindness. He and his fellows dedicated themselves to bringing the gift of sight to those in need and ensuring the “best for the poorest.” He had a marvellous ability to attract skilled and exceptional people to his cause, and in so doing, he created a real sense of family and purpose in Operation Eyesight’s formative years. Even today, many long-time donors fondly recall having met Art.